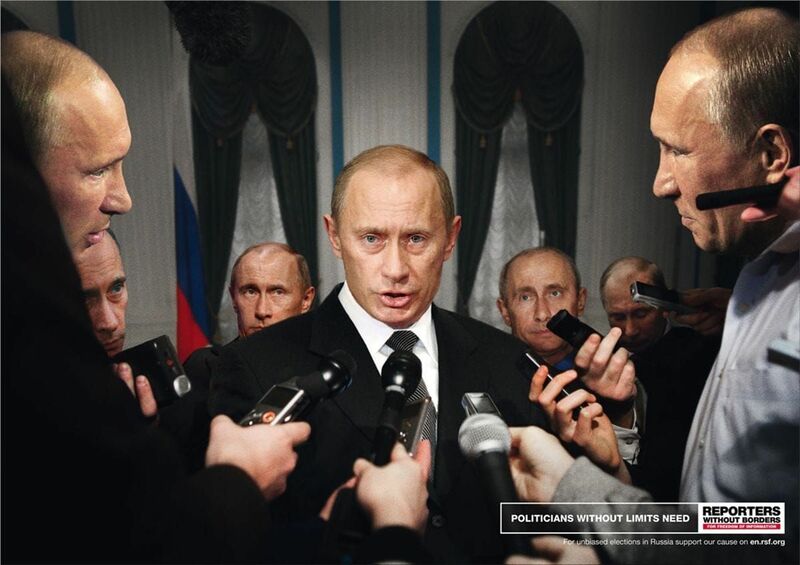 The ad explicates the manipulation of journalists by Vladimir Putin’s government, showing human rights abuse in the Russian media landscape. Teleclub: We won't ruin your movie. No commercial breaks.